1. Hon PETER DUNNE to the Minister of Finance: With regard to the Commerce Commission, what was he implying when he told NewstalkZB that the Government does not want another episode where theres such a significant impact from a decision based on our regulation? 1. Hon PETER DUNNE to the Minister of Finance: With regard to the Commerce Commission, what was he implying when he told NewstalkZB that the Government does not want “another episode where there’s such a significant impact from a decision based on our regulation”? 2. Hon DAVID PARKER to the Minister of Finance: Which, if any, is his greatest failing in 2013 as Minister of Finance? 3. 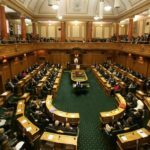 JAMI-LEE ROSS to the Minister of Finance: What reports has he received on progress in lifting New Zealand’s export performance and New Zealand’s progress toward paying its way in the world? 4. Hon MARYAN STREET to the Minister of State Services: Does he have any plans to introduce greater protection for New Zealand’s state sector integrity systems, including the public service, in the wake of Monday’s Transparency International New Zealand report? 5. 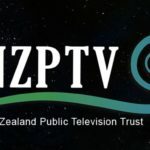 Dr RUSSEL NORMAN to the Minister of Trade: Does he stand by the answer given on his behalf yesterday, regarding the process for ratifying the Trans-Pacific Partnership Agreement, that “the member misunderstands the process that these things go through. She suggested that Cabinet will ratify the agreement; Cabinet will not. In fact, Parliament ratifies the agreement.”; if so, why? 6. Dr CAM CALDER to the Minister for Tertiary Education, Skills and Employment: What is the Government doing to strengthen New Zealand’s economic and education links with Asia? 7. DARIEN FENTON to the Minister of Labour: What factors will he take into account when considering whether the minimum wage should be increased in 2014? 8. SCOTT SIMPSON to the Minister of Justice: What recent announcement has she made for proposed changes to Disputes Tribunals? 9. CHRIS HIPKINS to the Minister of Education: Does she stand by all of the decisions she has made this year as Minister of Education? 10. BRENDAN HORAN to the Minister for State Owned Enterprises: Does he have confidence in the Board of KiwiRail Holdings Limited? 11. 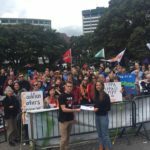 KATRINA SHANKS to the Associate Minister of Health: What reports has she received on improvements to the quality and safety of the New Zealand health system? 12. KEVIN HAGUE to the Prime Minister: Does he have confidence in all his Ministers? 1. GARETH HUGHES to the Member responsible for Member’s notice of motion 4: Why did he lodge the notice of motion directing Trade Minister Hon Tim Groser to table any final text of the Trans-Pacific Partnership Agreement before it is approved by the Cabinet? 2. GARETH HUGHES to the Member responsible for Member’s notice of motion 4: Why did he think it was necessary to lodge the notice of motion at this time directing Trade Minister Hon Tim Groser to table any final text of the Trans-Pacific Partnership Agreement before it is approved by the Cabinet? 3. RICHARD PROSSER to the Member in charge of the Social Security (Clothing Allowances for Orphans and Unsupported Children) Amendment Bill: What is the intention of the Social Security (Clothing Allowances for Orphans and Unsupported Children) Amendment Bill? 4. DENIS O’ROURKE to the Member in charge of the Sentencing (Protection of Children from Criminal Offending) Amendment Bill: What is the intention of the Sentencing (Protection of Children from Criminal Offending) Amendment Bill? 5. ANDREW WILLIAMS to the Member in charge of the SuperGold Health Check Bill: What is the intention of the SuperGold Health Check Bill?